This book deserves all the stars. I’ve just finished and immediately had to share my thoughts with you guys. This is my first CoHo book and woah. My extremely high expectations were reached! I’ll definitely be reading more of her books!! Ugly Love is a NA contemporary romance read that tells a highly emotional story of Tate Collins and Miles Archer. When they meet it’s not exactly love at first sight. In fact they don’t even consider themselves as friends. It seems like the only thing they have in common is a mutual physical attraction. They’re prepared to have a no strings attatched, no love, no feelings kind of relationship- as long as Tate can stick to the two rules Miles has for her: never ask about the past; don’t expect a future. Easy. Right? I loved this book instantly, i only had to read the first page to know i’m going to fall in love with it (literally love at first sight). I wasn’t ready for such a perfect, heart-wrenching and just a wonderful read. I loved this book so much, a definite favorite. The present is narrated by Tate whilst Miles tells a story from six years ago. Each and every Miles chapter was beautifully poetic. I also loved Tate’s narration, i feel she’s someone i’d be good friends with haha. All the characters in this book were great – apart from Dillon. But you’re meant to hate him. I loved Cap! I’d be happy to read a book all about him. He’s the wise, old, awesome guy that knows exactly what to say and never fails to make you laugh. I love love love this book! Gahhhh. There was never a dull moment and it was so unpredictable. It’s a story that explores love beautifully. Guys, just pick it up and read it.If there’s anything more you want to know, just leave a comment and i’ll reply asap. There’s also a film adaptation coming up and ugh Nick Bateman. Definition of perfection. Couldn’t have chose a better Miles. Woah, two reviews in one day?! Look at me go, haha. I feel Ugly Love is going to put me in the biggest reading slump. Help. Check out Ugly Love on goodreads! 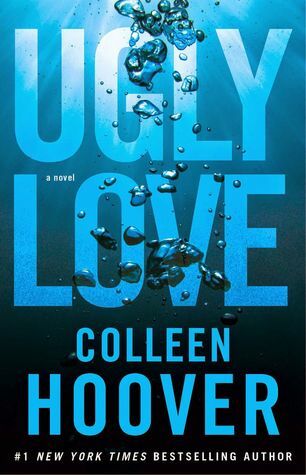 Posted on May 22, 2015 May 22, 2015 by manyreads	This entry was posted in Book Review, Ugly Love. Bookmark the permalink. Loved your review! I SERIOUSLY need to read this, argh I wish I had it right now. Right?! Thank you, and you really should. It’s such a great book! Right?! 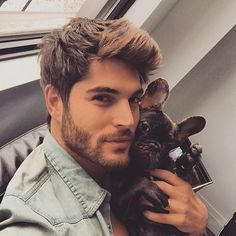 Nick Bateman is pretty much perfect. I definitely chose to read it earlier as the movie is being filmed. My gushing was uncontrollable haha, I had just finished it and straight away started writing up a review. I really want to read this book now! I read Maybe Someday by Colleen Hoover and was extremely disappointed by the ending, but I had also read Slammed and I absolutely loved it!